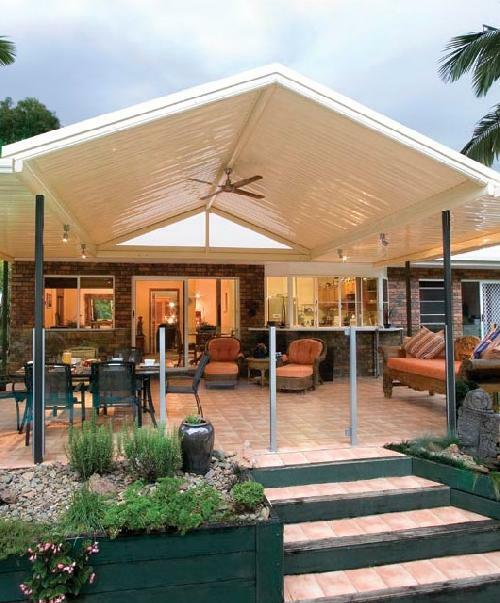 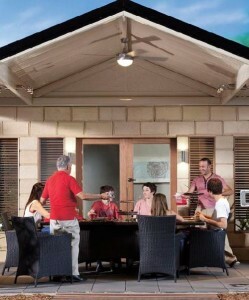 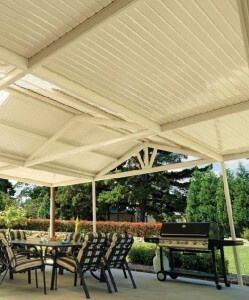 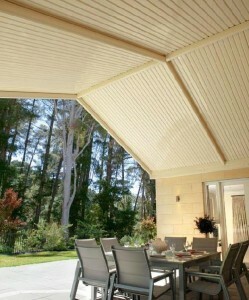 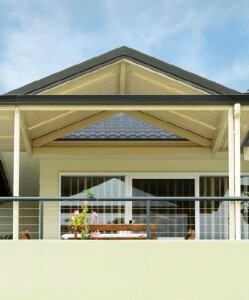 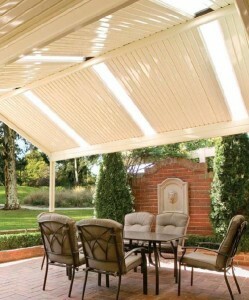 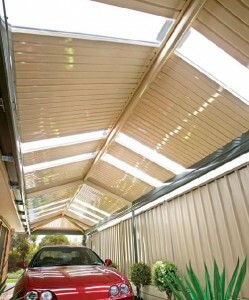 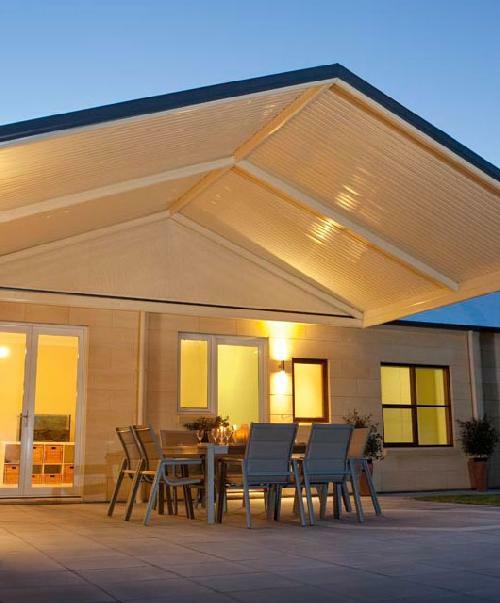 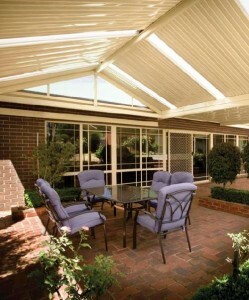 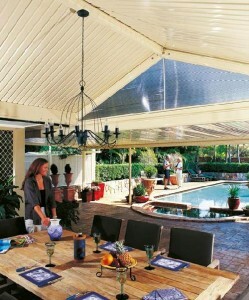 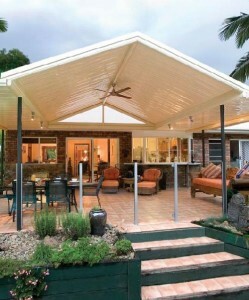 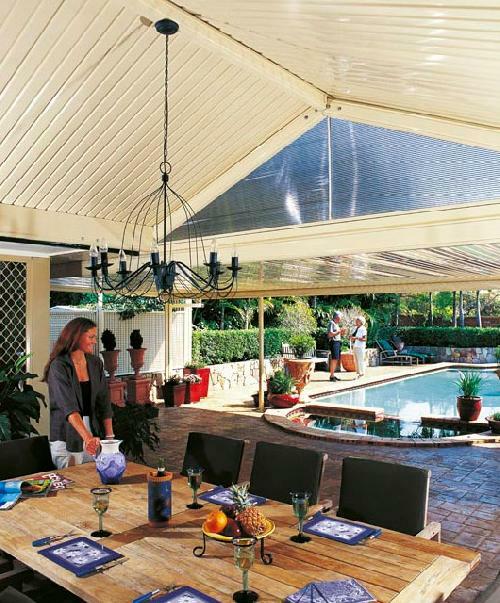 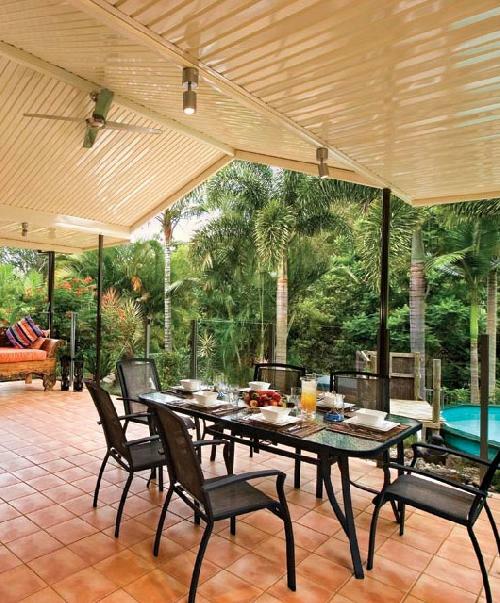 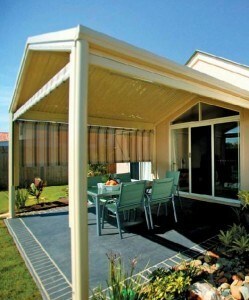 The Stratco Clearspan Gable is an exclusive design in the Stratco Outback range and one which makes great use of space. Made of very strong material that does not need extra purlins to support it, this pergola leaves the roof area clean and uncluttered with a ceiling like appearance from beneath. An exclusive design in the Stratco Outback range, this design profile of decking is one which minimises beams and rafters through the use of Outback deck. 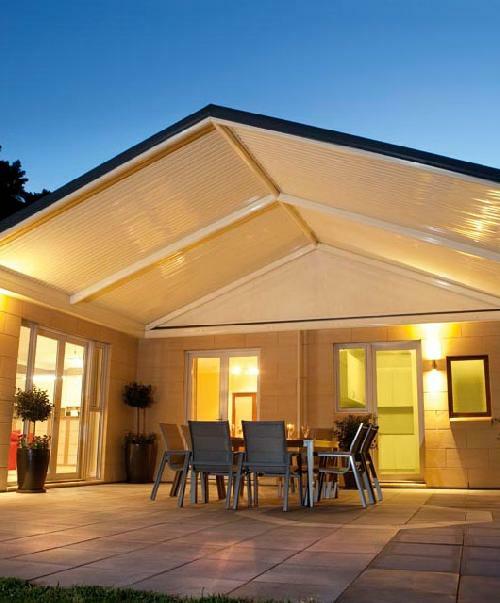 As a result the minimal internal structure can maximise your living space and provide a feeling of spaciousness and cleanliness. 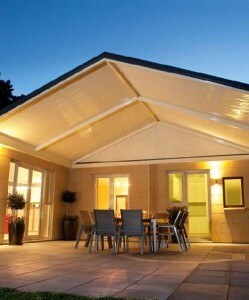 The Clearspan Gable comes in a range of colours. You have the option to personalise this pergola with electrical fittings such as fans and feature lights, offering more functionality and options. There are also a variety of infill options for the ends of the gable. 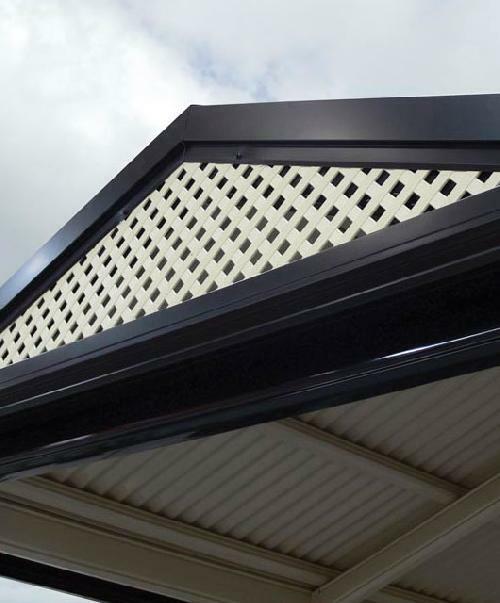 Twinwall, PVC lattice, rendered stucco panels and a feature louvre system are just some of the designs available. For areas requiring additional filtered light a 250mm polycarbonate spacelight is available for insertion into the Clearspan Gable. As well as the Clearspan Gable, we also sell other models in multispan gable, perfect for Melbourne, Hoppers Crossing, Werribee and Geelong as well as gazebos and hip end styles.